Mount (or translated as Gunung in Indonesian) Nglanggeran is located in Nglanggeran village, Patuk, Gunung Kidul regency. The mountain is more famously known as Gunung Api Purba and is situated approximately 30 km southeast from the center of Yogyakarta. The mountain is a great place to visit if you want to do a bit of hiking around Yogyakarta. With an entrance ticket as cheap as Rp. 7,000,- per person, this place gets quite busy on the weekend due to the beautiful scenery that you can enjoy around it. Visiting during weekdays is a much better option. The sites are open 24 hours a day and are quite famous with people who like to go camping and do team building and outbound activities. It is claimed as an eco tourism resort by the organization that manages this tourism destination. Thankfully the organization that manages the area takes care of the environment around Gunung Nglanggeran. The area is clean and they provide enough signs that visitors will not get lost. They also provide facilities that make the climb a lot easier. This includes such simple things as wooden stairs. 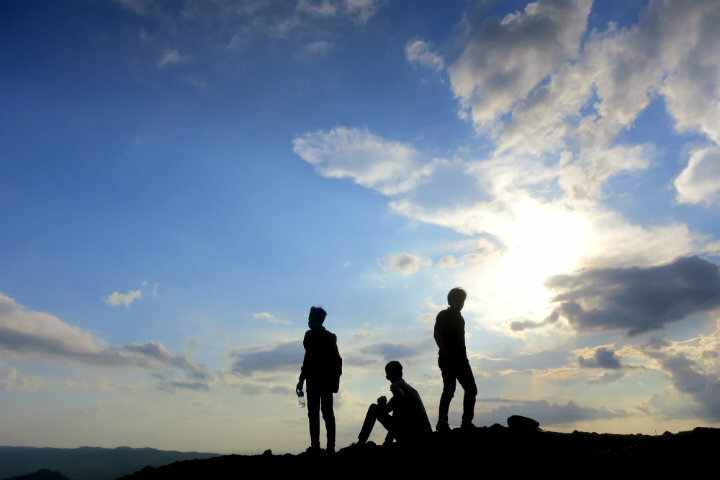 If you are reasonably fit, you won’t have any problem hiking Gunung Nglanggeran at all. I think it can be classified as an easy-medium hike. Starting from the parking lot, you probably need more or less one and half hours to reach the top. It will easily stretch to become a two-hour journey though as there are several viewing points along the way and you cannot miss the chance to take a break and just enjoy the views surrounding the mountain. When you start to climb, you’ll find a kind of Javanese traditional house, ‘Joglo,’ right before the hiking map announcement board. There are various other things that you’ll find during your hike. The highlight would be the area formed from karts or limestone, which somehow make this place unique. Besides that, you will see several mountains as you pass through a narrow corridor between two large pieces of stone (it called Lorong Sumpitan). 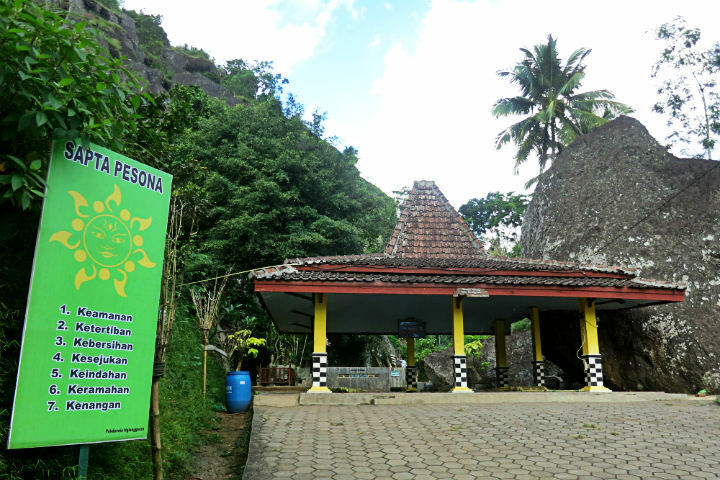 At the top, you will get a panoramic view of beautiful rice fields, the other mountain: Gunung Bagong, Gunung Buchu and Gunung 5 Jari; and you can also visit the spring which right before the top of Gunung Gedhe (local people say this spring is mystical). Gunung Gedhe is the biggest mountain compared to the other mountains around the entire region of Gunung Nglanggeran. Gunung Gedhe is the highest peak of the ancient volcano. Enjoy your success reaching the highest peak by relaxing at the top. Enjoy your snacks, be grateful of the amazing view (and or sunset) and the breeze that gently touches your hair and skin. Life is very beautiful isn’t it? next post Bogor: The Botanical Garden or a Culinary Adventure! Yeah, you may try another place in gunung kidul. Like Nglambor beach. the beautiful beach where you can dive here! I love ancient places, and this place is one of my favorite places. this place is amazing and incredible. Thank you for sharing your experience with us.I m very glad to see this post.I would like to see more again for the next time.